Just as the world's most lethal war was drawing to a conclusion, humanity was about to face a crisis of even greater proportions. The Spanish Influenza or flu turned out to be the second most fatal pandemic following the Bubonic Plague of the middle ages. More than 50 million people would die from the flu and more than 500 million people would be infected. It was a truly global disease spreading from Europe and America out to all of the continents including Asia, Africa, South America and the islands of the South Pacific. 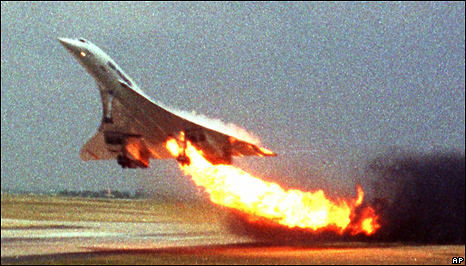 There was a time when the Concorde supersonic jet represented the future of pasenger air travel. The jets were sleek, modern and traveled twice as fast as conventional jets cutting the flight time from New York to Paris to just 3.5 hours. The future of the jet ended shortly after this tragic accident. Taking off from Charles De Gaulle Airport the jet ran over a strip of metal that had fallen off the last plane to use the runway. That caused a tire on the Concrde to blowout and a chunk of rubber punctured the fuel tank causing a fuel leak and fire that brought the plane down shortly after it took off. On October 27, 1628, the Batavia departed from Texel, Netherlands with 322 people aboard loaded with gold and silver to be traded in the Dutch Indies for precious spices. Just one ship in a larger merchant fleet, the captain of the Batavia as part of a planned mutiny steered the ship off course shortly after leaving port in South Africa. The ship hit a reef just 36 miles off the west Australia coast killing 40 people. The remaining 280 survivors made it safely ashore to a nearby uninhabited island. Lacking drinking water, the commander, captain and most of the crew ventured off in rowboats in search of water, leaving a disreputable pharmacist in charge of the remaining people on the island. Concerned that his part in the mutiny would be discovered, the pharmacist took absolute control of the lives of the survivors and made plans to abandon them while he and a small group of conspirators took the ship’s cargo of silver and gold and searched for a new life in the colonies. In the wake of the violent tumult of the French Revolution and subsequent purges and executions, Napoleon Bonaparte worked his way up from artillery commander in the French Army to unchallenged emperor of a French Empire that stretched across Europe from Spain to Prussia and Austria. Napoleon and France seemed to have complete control over the continent, but were challenged on the seas by the British and on their eastern border by the Russians. Failing to launch a seaborne invasion against the British, Napoleon and his Grand Armee chose to invade Russia instead. It would turn out to be one the worst military decisions ever. The Gulf of Mexico sees its share of hurricanes. From the islands of the Carribean to the shores of the U.S., powerful cyclonic storms blow through the area on a regular basis fed by the warm waters of the area. On August 28, 2005, one of these storms blew up into a Category 5 hurricane, the most powerful type on the Saffir-Simpson scale. It weakened to a Category 3 as it hit the U.S. mainland at southeast Louisiana, still one of the most powerful storms to reach the U.S. coast. While it devastated the states of the Gulf coast, it hit the city of New Orleans the hardest causing the most fatalities. 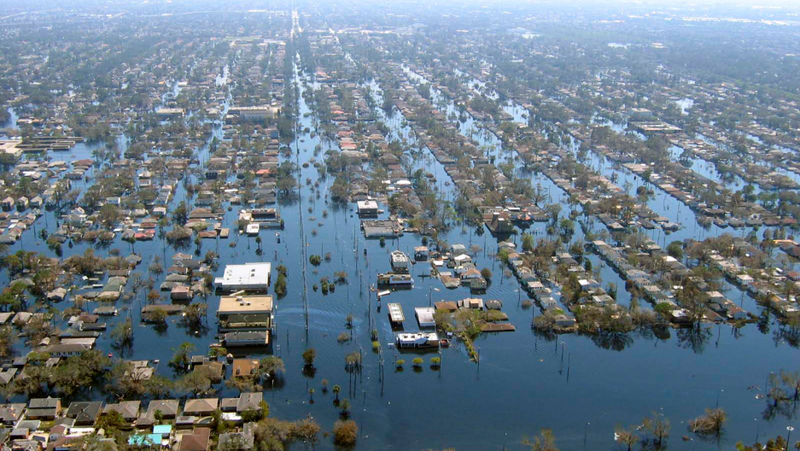 Lashing the city with wind and rain, the storm surge caused all 53 federally-built levees to collapse inundating the city with water from the surrounding sea and lakes. Many people died in the resulting floods including hundreds of people in nursing homes who were not properly evacuated. Thousands of people were left trapped on their roofs or inside their flooded homes with no food or drinkable water, while tens of thousands crowded into the Superdome sports complex for several days.